Apple users have encountered this message a lot of times for sure but Apple has not appropriately addressed this issue. Many people have complained that after downloading or buying apps or music and trying to sync it with iTunes, they encounter this error pops despite their devices having more than enough memory. Some people have reported that after encountering this particular error, they pulled up their task managers and saw iTunes using a prodigious amount of memory, doing so without the will or any clearance from the user. Some people have also complained that in the first few hours iTunes functions smoothly but after a while the same message appears. Most people just end up rebooting iTunes in the hope of fixing the issue but what they fail to realize is that it might ‘reset’ the memory consumption but it builds up the whole process again and the concerned person may have to open and close iTunes several times a day, absolutely ridiculous to say the least. It’s not a secret anymore that Apple’s iTunes is flawed and they have paid little attention to solve the problems and issues of their users. A great number of people are still confused as to how to deal with this issue. To deal with these issues and come up with a plan to avoid these problems in the future, you first need to note down the symptoms that complaining users encounter on what seems like a regular basis. The very first symptom you can get might be the message “iTunes was not installed correctly, please reinstall iTunes”. Apple has not provided any reliable solution for the problem, nor has it cleared any recommended solutions provided by the users. However, there are many solutions floating online to solve these problems. Method 1: Restart iTunes by keeping the Alt key pressed down. Select "Choose Library" option this time and choose the main library. Now you will not have any temporary files left in the iTunes folder and the issue should be solved. You will be able to save your file without receiving the error message again”. Method 2: The second method tells you to try running disk cleanup for the drive where iTunes is originally kept. It is accessed from the properties of that drive in windows explorer. There also might be a chance that the access rights have changed somehow in that case check for write permission and for things like read-only settings on the file. 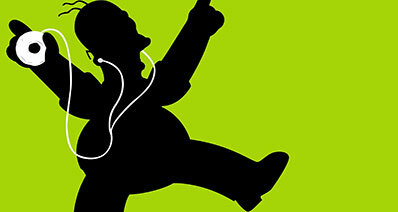 Sometimes a network issue can also cause iTunes download to stop temporarily. When this happens you need to remove the cached file before you try to download iTunes again. There are two processes available on the official Apple site for Mac and PC respectively both of them are listed below. Step 1: If iTunes is open, quit the program. In Finder, select Go > Home from the menu bar at the top of your screen. Step 2: Open Music > iTunes > iTunes Media. If you have an older iTunes library, you might see an iTunes Music folder instead of an iTunes Media folder. Step 3: Open Downloads. Drag all files from the folder to Trash. Open iTunes. From the menu bar at the top of your screen, choose Account > Check for Available Downloads. Step 4: If prompted, enter your Apple ID and password. Click Check. Your music downloads to your iTunes Library. If iTunes is open, quit the program. Press the Windows key on your keyboard. If your keyboard doesn't have a Windows key, press the Control (Ctrl) and Escape (Esc) keys. Click on the magnifying icon or search field. In the search field, enter %USERPROFILE%\Music. Open iTunes > iTunes Media. If you have an older iTunes library, you might see an iTunes Music folder instead of an iTunes Media folder. Open Downloads. Drag all files from the folder to the Recycle Bin. Open iTunes. From the menu bar at the top of the iTunes window, choose Account > Check for Available Downloads. If prompted, enter your Apple ID and password. Click Check. Your music downloads to your iTunes Library. And the last of these few solutions is to switch to a more reliable source to manage your music files and others, the iMusic. iMusic is one of the latest software to emerge out of the app market. It is one of the best solutions available for a problem that plagues a lot of Apple users – the error “The iTunes Library file cannot be saved. There is not enough memory available” even though they have a huge amount of memory available on their phones. A lot of people have already used this app and very rarely will you come across any bad reviews if you scroll through the review section of the app on its official website. The features on this app are simply amazing and it offers you a lot of customization and diversity as compared to other apps in the same department.When you successfully download this app you will come across four main icons at the top shelf. The first of these icons is ‘GET MUSIC’; by opting for it you’ll be open to three more choices. 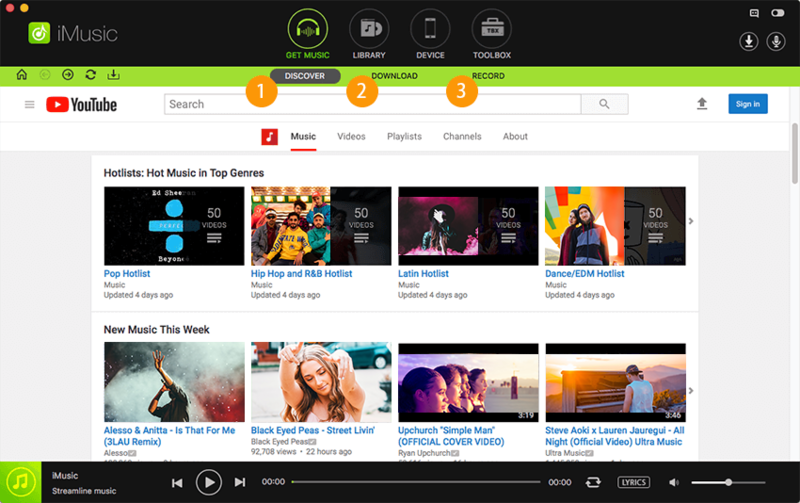 It allows you to discover new music by giving you your favorite artists, top songs and others. By clicking on ‘DOWNLOAD’ you’ll come across a search engine. Open YouTube or any music streaming site, like Spotify. Copy the URL of the song on the site. Paste the URL of the song to the URL paste box in iMusic, check the needed music format and click “Download”. You can also record music by clicking on the ‘RECORD’ icon on the shelf. 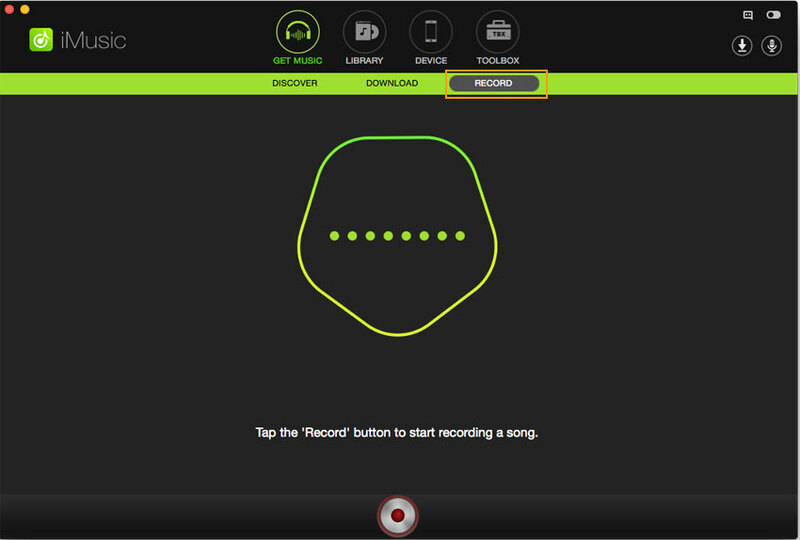 You can record any music from Music sites or Radio stations. The next option is ‘MUSIC LIBRARY’ where you can manage all your downloaded music. 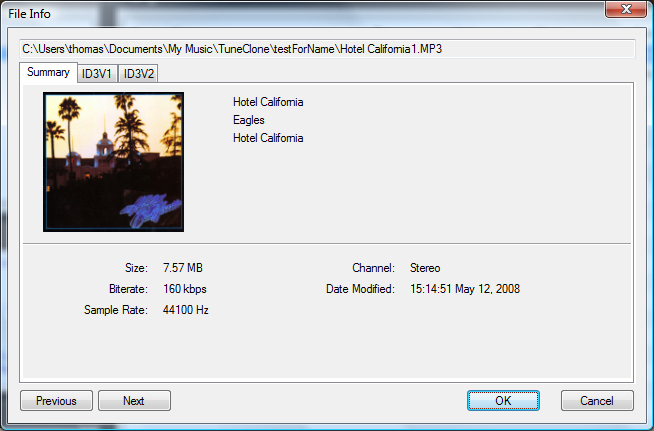 By clicking on ‘DEVICE’ you can easily transfer all of your music to your device without any hiccups and finally the ‘TOOLBOX’ icon can be accessed to have more options and even use iSkysoft to connect to a car or burn CDs.